The following Terms and Conditions (“Terms”) shall apply to all sales of products by Ultra Motion LLC (“Ultra Motion”). Any modification to these Terms must be in writing signed by Ultra Motion. Unless agreed to in writing by Ultra Motion, these Terms shall prevail in the event of any conflict between these Terms and any differing terms or conditions submitted by the Buyer in connection with any order. Offer and Acceptance. These Terms constitute Ultra Motion’s offer to Buyer and acceptance by Buyer and any resulting sale is expressly limited to and conditioned upon Ultra Motion’s terms and conditions as set forth below. The placement of an order by Buyer constitutes an acceptance of these Terms & Conditions unless Buyer objects to any of These Terms and Conditions, such objection is expressly stated and brought to the attention of Ultra Motion in a written document which is separate from any purchase order or other printed form of or communication from Buyer. Such objections, or the incorporation of any additional or different terms or conditions by Buyer into a resulting order shall constitute non-acceptance of these Terms, releasing Ultra Motion from any obligation or liability here under and a proposal for different terms and conditions which shall be objected to by Ultra Motion unless expressly accepted in writing by an authorized representative of Ultra Motion. Acknowledgment copy, if any, shall not constitute acceptance by Ultra Motion of any additional or different terms or conditions, nor shall Ultra Motion’s commencement of effort, in itself, be construed as acceptance of an order containing additional or different terms and conditions. Quotations and Prices. Written quotations are good for 30 calendar days unless a shorter period is noted in the quotation. All prices are subject to change without notice. In the event of a price change, the price of product(s) on order will be the price in effect on the date of order acknowledgment. Late Payments. Interest of 1½% per month will be charged on all overdue amounts. Delivery. All sales are F.O.B. Ultra Motion’s facility in Cutchogue, N.Y. Delivery of product(s) by Ultra Motion to a carrier shall constitute deliver to Buyer and Buyer shall assume all risk of loss or damage in transit. Orders which include penalty clauses for failure to meet delivery dates or shipping schedules are not acceptable except in those cases specifically approved in writing by Ultra Motion. Warranty. Ultra Motion warrants its products to be free from defects in materials or workmanship for a period of one year from date of shipment. Warranty claims should be made in writing to Ultra Motion. Defective products will be repaired or replaced at Ultra Motion’s option. ULTRA MOTION MAKES NO REPRESENTATIONS OR WARRANTIES, EXPRESS OR IMPLIED, OF ANY KIND WITH RESPECT TO ANY OF THE PRODUCTS SOLD TO BUYER AND IT SPECIFICALLY DISCLAIMS ANY IMPLIED WARRANTY OF MERCHANTABILITY OR FITNESS FOR A PARTICULAR PURPOSE WITH RESPECT THERETO. Cancellations. All products sold by Ultra Motion are non-cancelable and non-returnable. The minimum cancellation charge will be 20% of the order total. Delays. Ultra Motion shall not be liable for delays, defaults or damages in fulfilling any order caused by conditions beyond it s control including but not limited to acts of God, strike, lockout, labor troubles, war, riot, threats of terrorism, government regulations or delays from Ultra Motions subcontractors or suppliers in providing materials or supplies due to one or more of the foregoing causes. Intellectual Property. All plans, sketches, drawing, blueprints, models and specifications prepared by Ultra Motion in fulfilling any order for products shall remain the property of Ultra Motion. Export Control and Shipment Regulations. Buyer agrees at all times to comply with all United States laws and regulations as well as International Trade Laws, as they may exist from time to time, regarding export licenses or the control or regulation of exportation or re-exportation of products or technical data sold or supplied to Buyer. Ultra Motion may terminate or suspend any order, without remedy, should the Buyer become an entity identified on any US export denial listing. 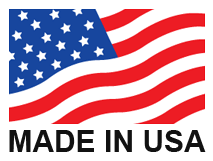 Products ordered may require authorization and/or validated export license from a US government agency. Ultra Motion may terminate or suspend this order, without remedy, should a government agency approval be denied. Indemnity. Buyer agrees to indemnify, defend and hold Ultra Motion harmless from any claims, loss of damages arriving out of or related to Ultra Motion’s compliance with Buyer’s designs, specifications or instructions in the furnishing of products to Buyer, whether based on infringement of patents, copyrights, trademark or other right of others, breach of warranty, negligence, or strict liability or other tort. Limitation of Liability. In no event shall Ultra Motion be liable for any indirect, incidental, consequential or punitive damages of any kind, including but not limited to lost profits or revenue arising from or in any way connected with any order for products placed with Ultra Motion by Buyer whether for breach of contract, warranty, negligence or other tort, and damages shall be limited to the purchase price of the products. Force Majeure. Ultra Motion shall not be liable for delays in performance due, in whole or in part, to any contingency beyond its reasonable control, including acts of God, fire, accidents, strikes, labor disputes, floods, wars, terrorism or threats of terrorism, sabotage or governmental laws, ordinances, rules or regulations. Governing Law; Jurisdiction. All orders or other agreements between Ultra Motion and Buyer shall be subject to the laws of the State of New York without giving effect to the principles of conflicts of laws. Any action or proceeding to enforce any rights as between Ultra Motion and Buyer shall be brought only in the state or federal courts located in Suffolk County, New York and Buyer hereby consents to the personal jurisdiction of said courts. The parties waive trial by jury. In any action or proceeding between Ultra Motion and Buyer, Ultra Motion shall be entitled to recover its reasonable attorney’s fees and expenses.